The Cleveland Police Department was recently re-accredited in Miami, Florida, through the Commission on Accreditation for Law Enforcement Agencies (CALEA.) on November 21, 2015. The Cleveland Police Department is also accredited through the Tennessee Association of Chiefs of Police (TACP) since 2012. 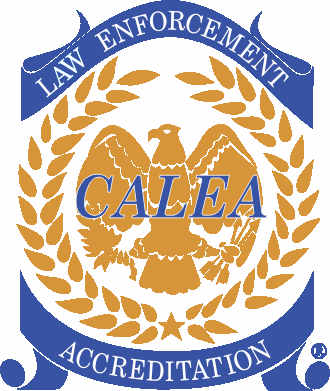 CALEA was formed in 1979 through the combined efforts of the International Association of Chiefs of Police (IACP), the National Organization of Black Law Enforcement Executives (NOBLE), the National Sheriff´s Association (NSA) and the Police Executive Research Forum (PERF). The commission was formed for two reasons: To develop a set of law enforcement standards, and to establish and administer an accreditation process through which law enforcement agencies could demonstrate voluntarily that they meet professionally recognized criteria for excellence in management and service delivery. Processes to safeguard employees’ rights.